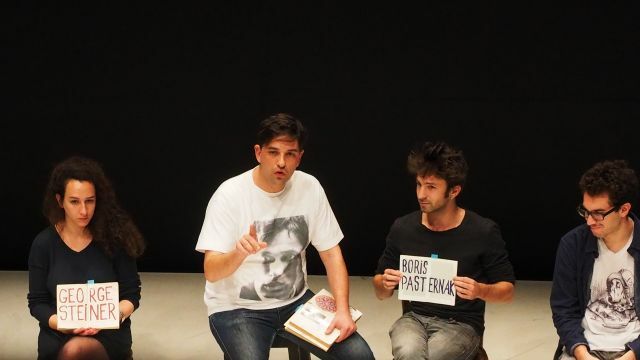 By Heart is a tender, delicious, funny, intimate and pleasing performance, written and performed by Tiago Rodrigues. He tells us stories that connect and resonate with the audience in the same way a piece of music enfolds an audience in its sound and the experience of seeing something beautiful spellbinds all who witness it. This is a simple story at heart. It is a love story about the love of a Grandson for his Grandmother and her love of literature. It is also a performance about connections that are strange and wonderful, challenging and awe-inspiring. How do a Dutch TV show, a Russian Poet, Stalin, the importance of memory and a Shakespearean sonnet fit together? Yet fit together they do! 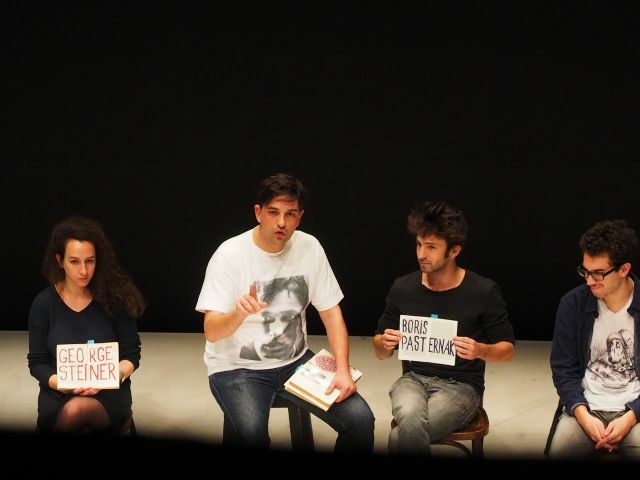 We find this out as we, the audience and ten brave volunteers, who fill the ten empty chairs on stage, join Rodrigues in his quest to teach ten people a poem they can recite by heart by the end of the show. I could go on at length about the value of understanding the reasons why learning something by heart is so important but I would rather you discover this from Rodrigues through experiencing the journey on which he takes his audience. If you enjoy stories, love reading, enjoy the beauty and challenge of words and want a chance to rediscover why these things are so integral to us as humans, buy a ticket and get along to The Odeon and experience By Heartfor yourself.